Come join us on this epic Summer pilgrimage to the great country of COSTA RICA!!! This is a FAMILY FRIENDLY retreat so bring your kids, parents or dearest friends!!! Costa Rica land of Pura Vida, the PURE LIFE! We will stay 7 nights in the pristine beach/surf town called NOSARA. Nosara has long been known for its culture where surfing and yoga converge. Nosara has been rated by National Geographic as one of the top Surfing towns in the world!!! And Trip Advisor rates it as a top 10 beach in Central America. There will be suitable waves for everyone, whether you are an absolute beginner or you have been surfing your whole life. As well, for newbie surfers there will be surf instructors and board rentals available(price not included). To check Nosara's daily surf report click here: click here. And if surfing is not your thing, there are plenty of other incredible ways to spend your getaway time; whether walking on the beach, relaxing by the pool, shopping in the markets, getting a massage, and/or hiking in the jungle. 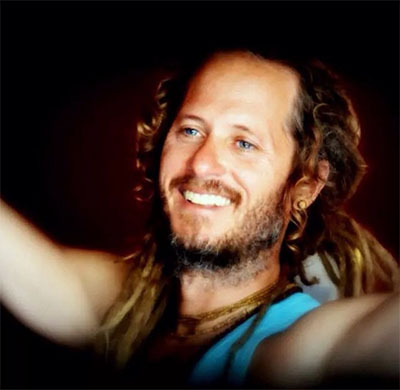 We will practice yoga every day, sing kirtan, meditate, eat delicious vegetarian cuisine, and immerse ourselves in Mother Earths absolute beauty! The accommodations for the the retreat will be at 2 adjoining private homes in the area called Playa Guiones(pics below, address given after registration), a very short walk to the world famous surfing beach. Hi Beloved Friends! Thank you for your interest in coming with us to Costa Rica. I feel so blessed and truly honored to be able to lead this retreat again. 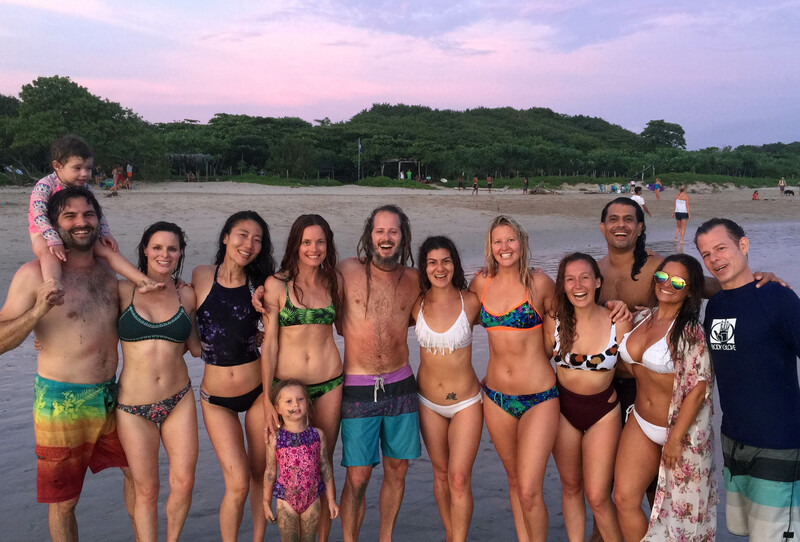 This will be the 4th yoga retreat to the beautiful country of Costa Rica that I have led, and last years retreat to Nosara was absolutely EPIC!!! 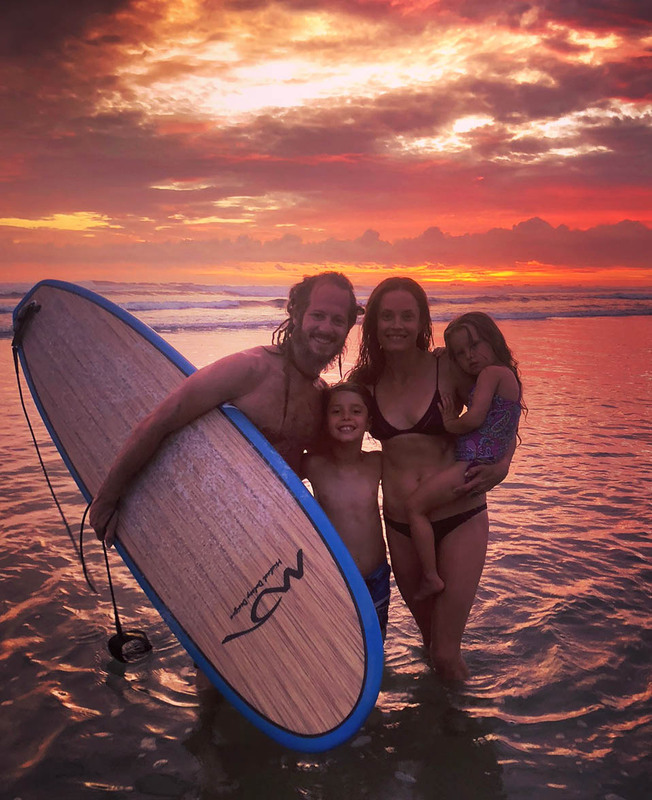 This retreat is a fusion of 3 of my deepest adorations into 1 retreat: yoga, surfing, and family- traveling to a beautiful land with loving people and delicious fresh tropical fruit. The importance of retreat is to step outside of our daily routine and responsibilities with the intention of deep rejuvenation, spiritual reconnection and upliftment. 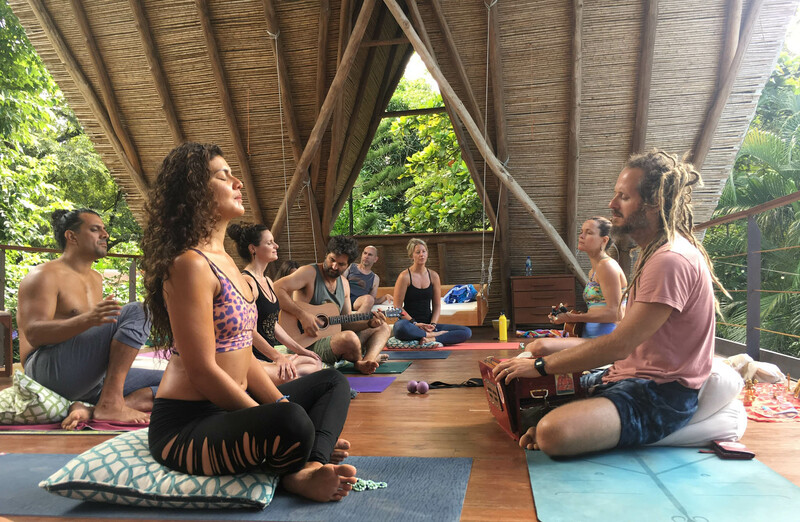 When we add in the Bhakti practices, a clean vegetarian diet, and the sense of community and friendship, it can be truly a life altering and vibrationally raising experience. This has been my experience in the greatest of ways. You will see that the accommodations in the pictures and through the links are amazingly comfortable with all of the necessities. We will be staying at 2 adjoining private homes in the Playa Guiones area, a gorgeous jungle that meets the ocean where yoga, surfing, and the pristine beaches are the main attraction. Our accommodation is a very short 5 minute walk down a dirt path to the beach. Clean and comfortable rooms, water filtration, on-site vegetarian chef, massage, Doctor, etc. are a few of the amenities that are either on premises or very close by. Along with our daily sadhana and practices we will surely plan excursions to meditate, chant, and practice yoga to special locations nestled in mother earths absolute beauty. Costa Rica is truly a jewel of Central America, just a 5 hour flight from California. It is no mistake that Costa Rica has become an incredibly popular destinations for Americans seeking relaxation, healing, and shelter from the stressful ways of modern life. We will do whatever we can to make this excursion as safe and simple for you as possible. The price of $1800 does NOT include airfare. It does include lodging, food and yoga. As well the price does not include spa treatments, surf lessons, personal excursions, and transfer from the airport to the retreat location in Nosara etc. Payments can be made by cash, Paypal, Venmo, check, or credit card. As in any travel there is potential risk. Please be aware of all possible risks by doing as much research as possible. Many people take shots and vaccines before going to a foreign land. If you feel inspired to do this, I think it is a good idea. We are going to a clean yogic environment, yet is entirely up to you whether taking shots are something that you want to do. Again, do the research! We surely recommend travel insurance that you can purchase from the travel agent that you buy your tickets from. We will meet at the Retreat center/Private Home in Nosara after 3pm on July 7(Exact location given after registration). To get to Nosara, fly into Liberia Airport (Daniel Oduber Quiros International Airport, code – LIR). There are direct flights from LAX. From the airport it is a 2 hour drive to Nosara. You can book a taxi directly to the retreat center. We will finish the retreat at 10am on July 14. Through Google, you can find many online Travel Agents that specialize in flights to Costa Rica. With a little research, you can find some great rates. As well NO tourist visa is needed to enter the country of Costa Rica if you have a USA passport. Pls Come join us on this transformational, uplifting, and joyful retreat! Together in community we will bathe in the nectar of one of the planet's most beautiful and soul-nourishing locations!